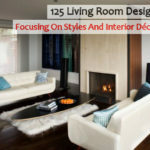 Customized spaces, even bathroom spaces, always look and feel more expensive than generic, builder-grade ones. 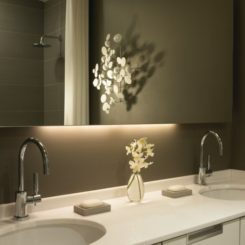 One way to customize your bathroom, no matter the style or size, is to install an oversized vanity mirror and mount a bathroom lighting fixture on top of the mirror face itself. 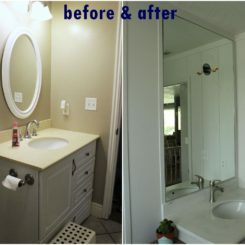 This strategy allows you to maximize your vanity mirror size and height (which serves to expand the space) and double up on your lighting – a win-win. 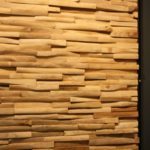 This tutorial will walk you through how to accomplish this successfully, without damaging your custom-cut mirror. 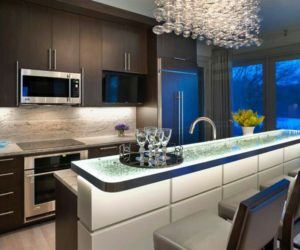 Purchase a lighting fixture that you love, because you’ll be seeing twice as much of it reflected in the mirror after installation. 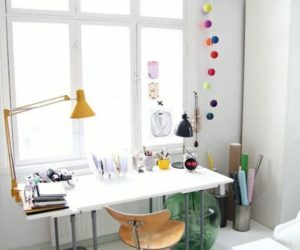 We recommend reading through this entire tutorial before beginning, so you have an idea of what you’ll need, when you’ll need it. 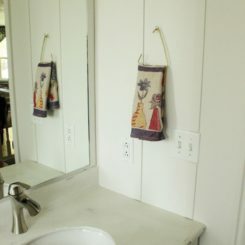 These wires and box will hang out here until you’ve installed your custom mirror, with a cutout directly over the electrical box. 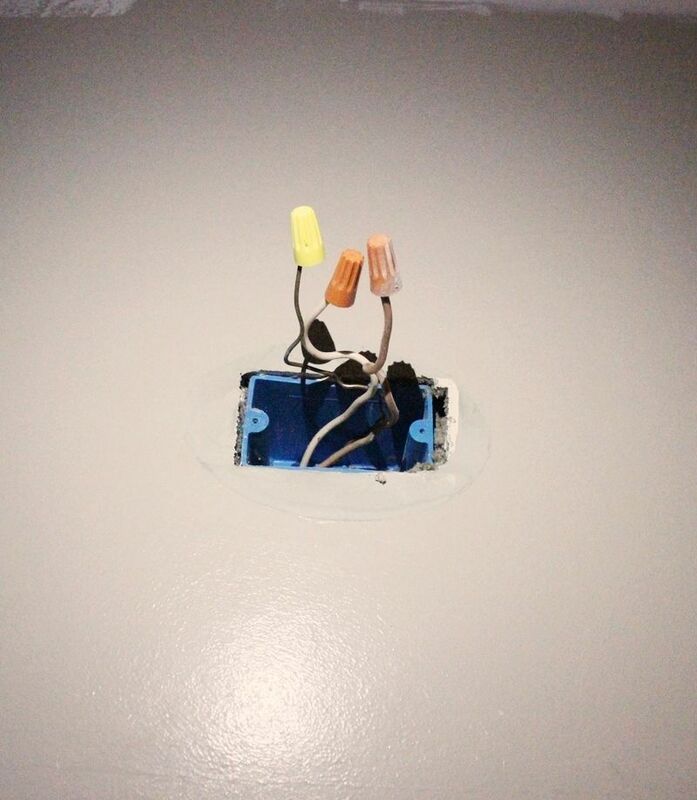 In many instances, a lighting fixture electrical box will be round; in this case, it’s a rectangle. 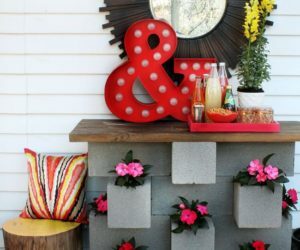 Either way is fine as long as the mounting screw holes are visible and fully accessible. 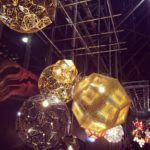 Depending on your lighting fixture, the chances are high that you’ll need to purchase supplemental machine screws in a longer length than what came with your light. 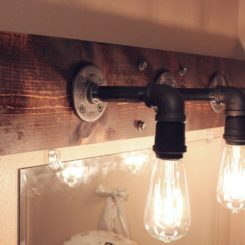 This is because, since you are mounting onto a mirror, you will need an additional screw length of 1/2″ or so to mount the light. 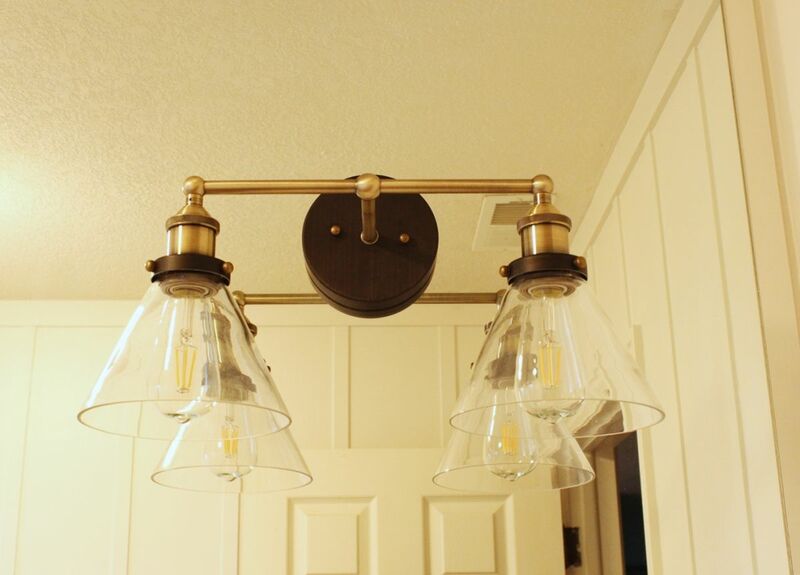 This lighting fixture came with 1-1/2” screws, so we purchased 2” screws (#8 size), which worked out perfectly. 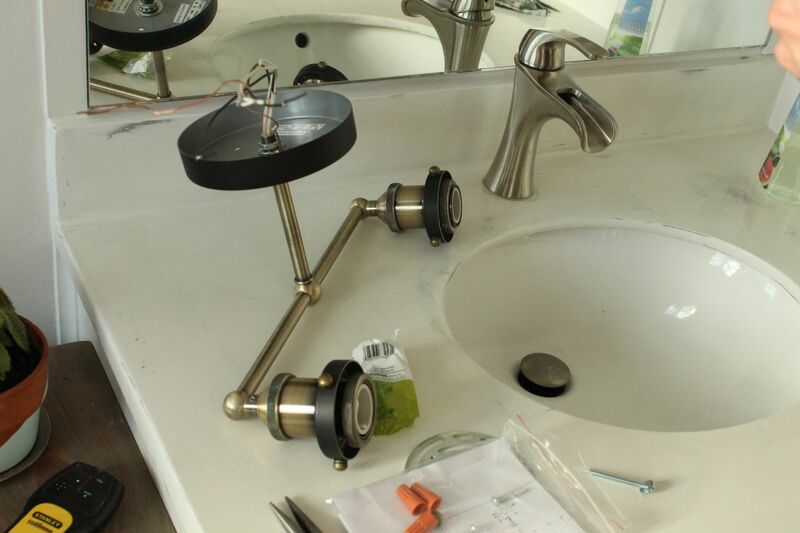 The first thing we discovered, although there was nothing we could do to change it, was the standard-sized lighting fixture mounting circle was about 1/16” too big for our mirror cutout. 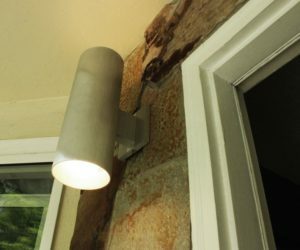 This was a surprise, because the cutout was sized to fit all standard-sized lighting installation components. 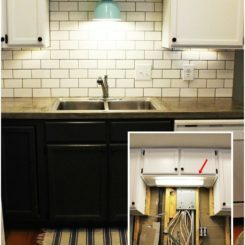 As many DIYers are wont to do, we were forced to move onto Plan B: Reuse the original mounting strip, which did fit through the hole and onto the electrical box screws. There was a tradeoff with this decision, which I’ll show you all later. But it was one we had to take. 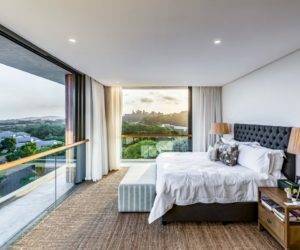 Hopefully, your own mirror-cutting experience will be perfect. 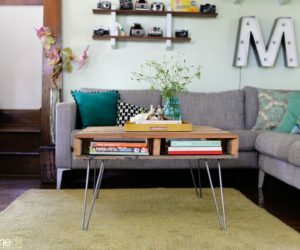 Tip: Take your mounting pieces into the glass-cutters when you place your order and/or pick up your mirror to ensure that the mounts will fit BEFORE the mirror is installed. Screw two mounting screws (the longer ones you purchased) into the holes on your mounting strip. 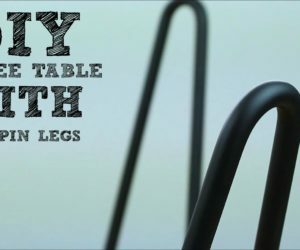 You might not need to screw them in all the way. Add nuts to keep them from unscrewing when it comes time to attach the flange. 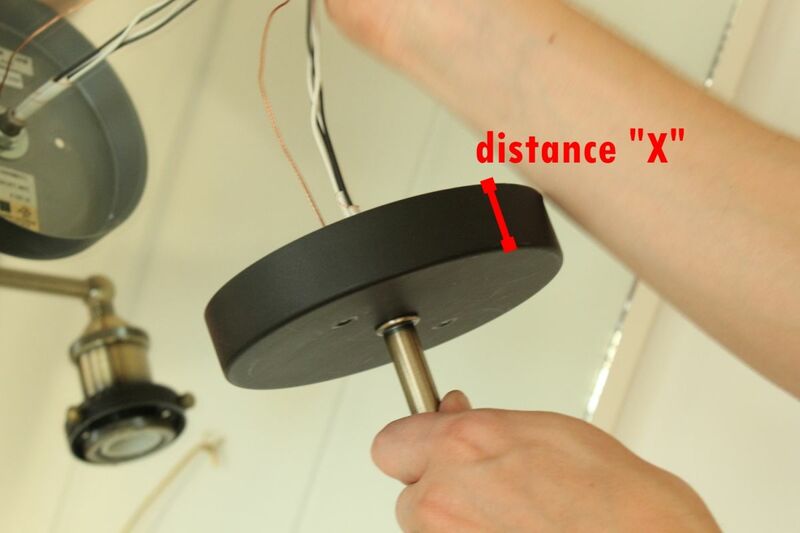 Now measure distance X away from the face of your mirror while holding the mounting strip next to your electrical box. 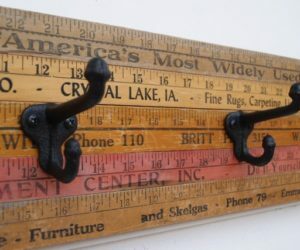 The screw should extend about 1/4″ past the distance X mark on your measuring tape. 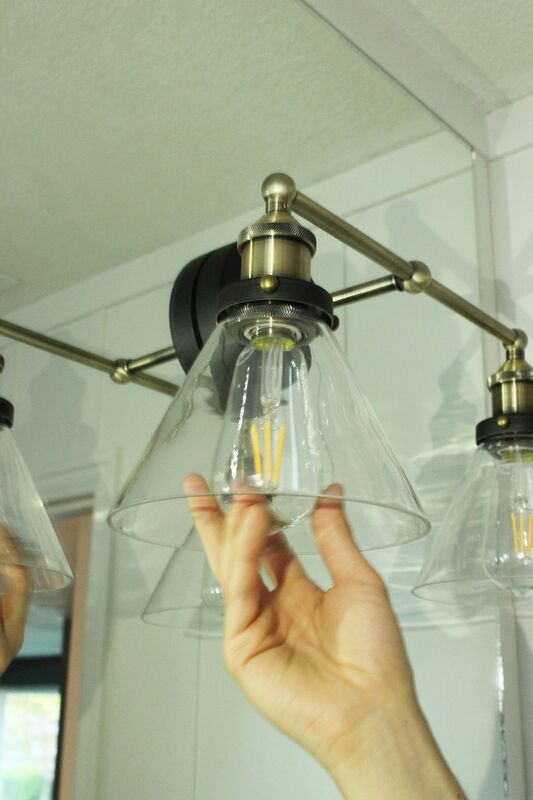 When you’re satisfied with your mounting screw lengths, tighten up any nuts on the back of your light fixture. Note: You can adjust your mounting screw lengths later if necessary. 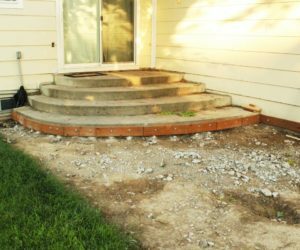 While it’s much easier to get it correct at this stage of the installation, this is by no means a do-or-die positioning. 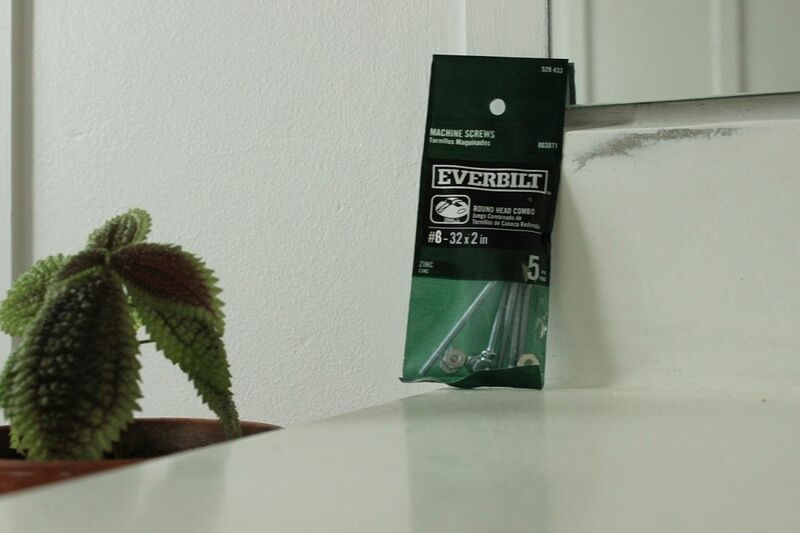 Place the mounting strip onto your electrical box screws so that the mounting screws face outward. 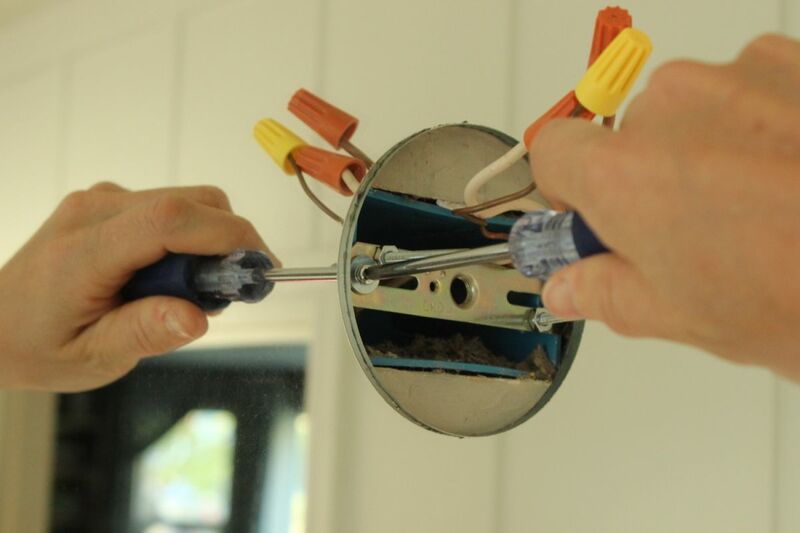 Attach and tighten the mounting strip onto the electrical box with a screwdriver. 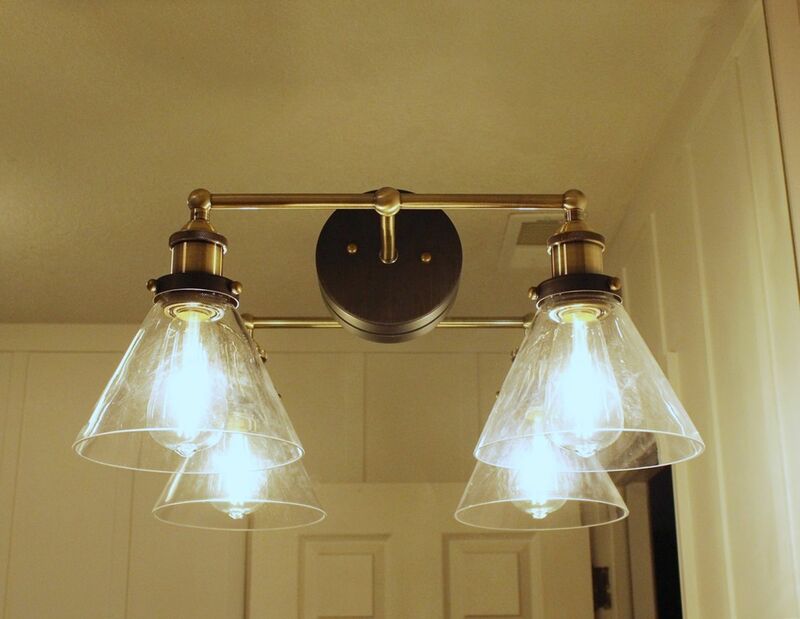 Ensure that the screws are tight; these screws are largely what will bear the brunt of the mirror-mounted light fixture’s weight when all is said and done. 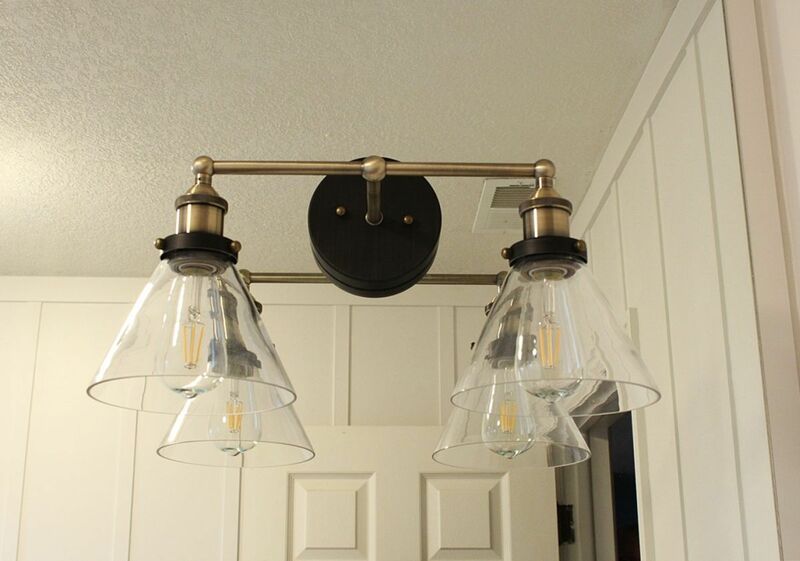 Hold up your light fixture with the flange next to one of your now-positioned mounting screws. 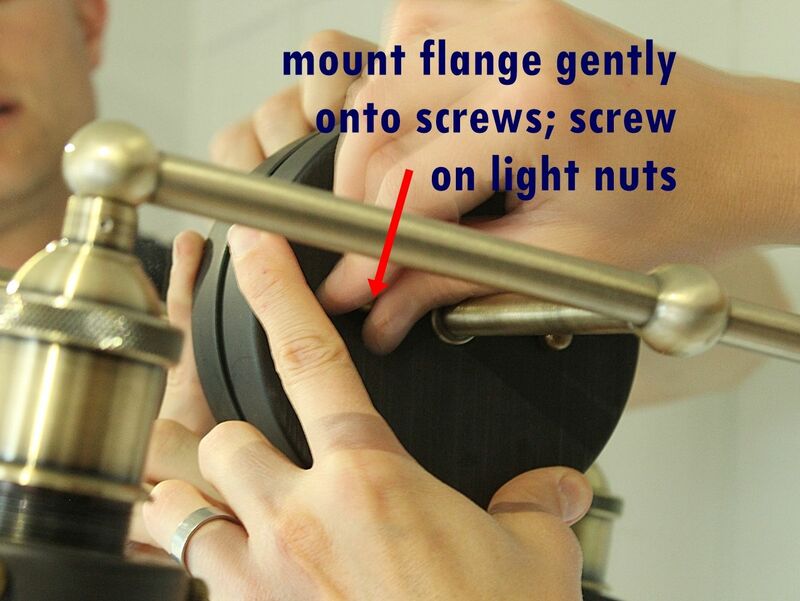 Verify the spacing of your screw depth, keeping in mind the depth of your light nut holes for screwing on later. 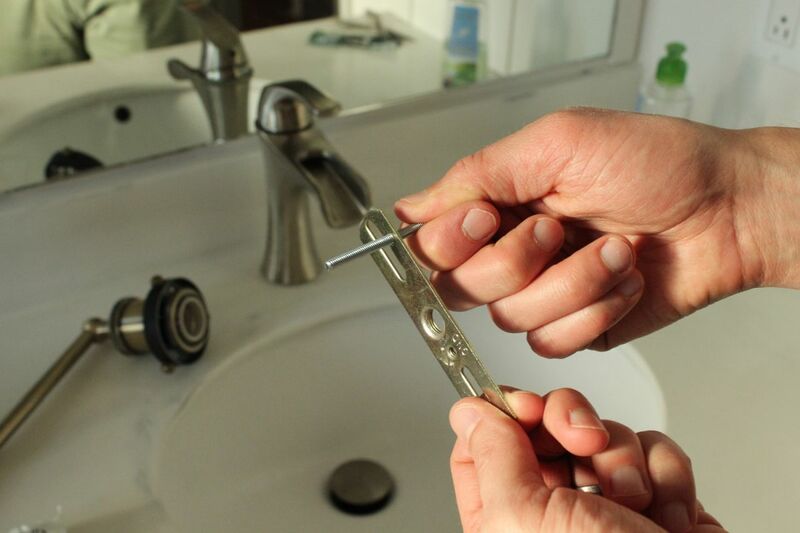 Make any adjustments to your mounting screws that are necessary. 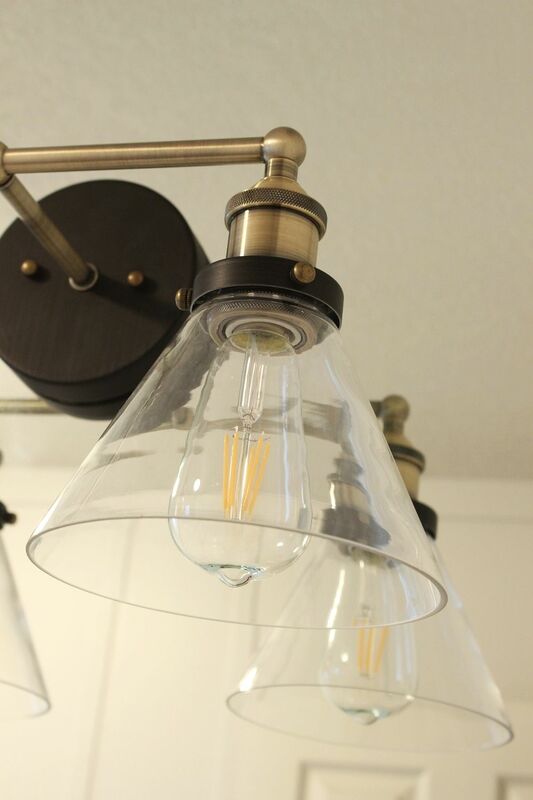 With your mounting screws positioned, it’s now time to wire up your light. 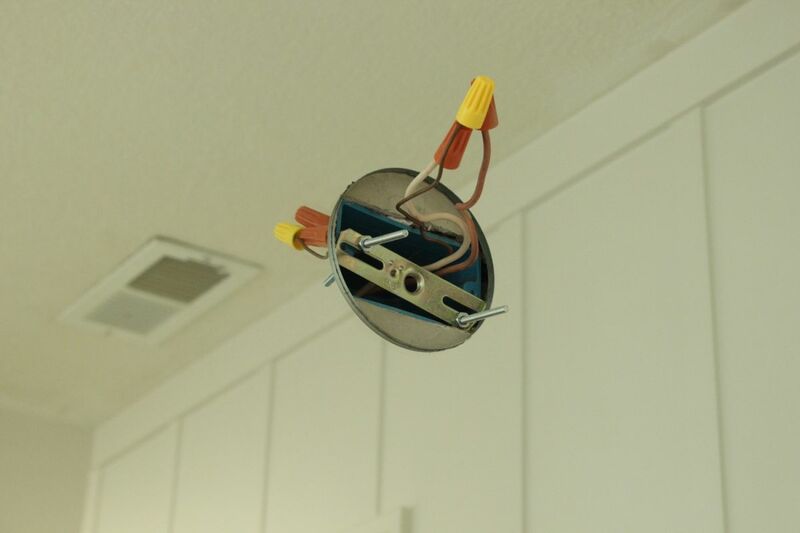 Have a helper hold the light fixture up for you (so it doesn’t slam against or scrape your mirror) while you connect and attach wires. 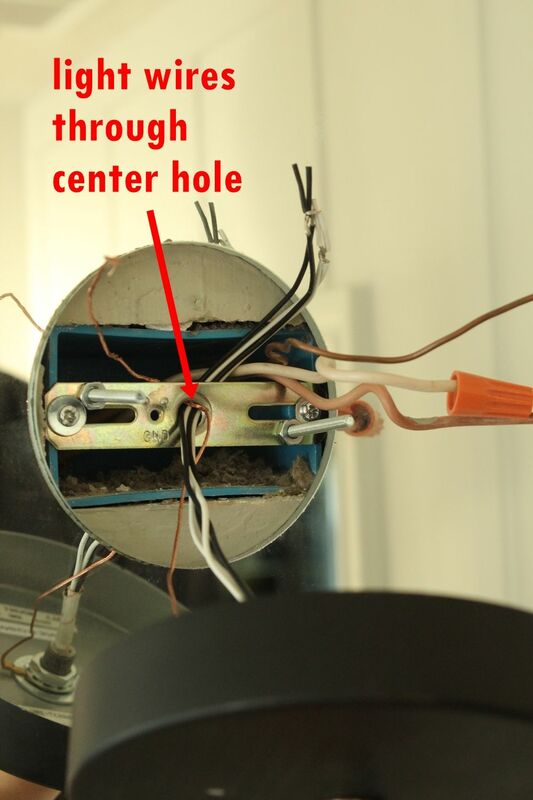 Thread the fixture’s wires through the mounting strip’s center circle. 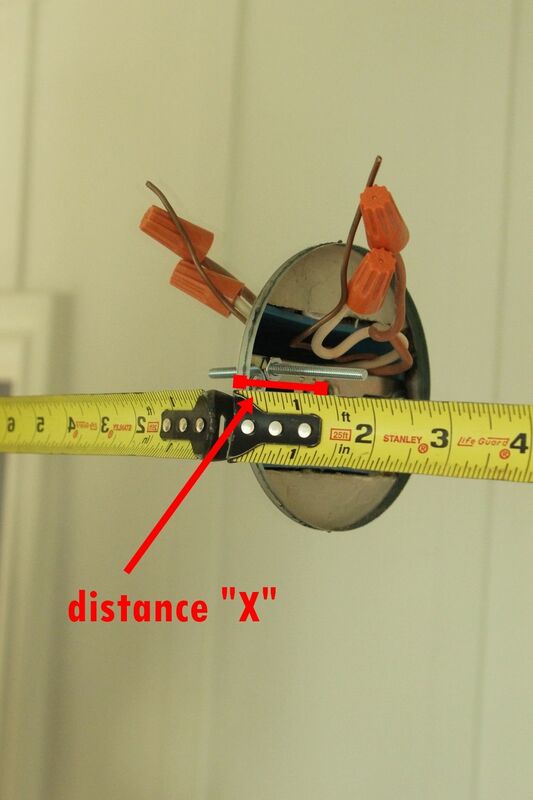 Expose about 1/2” of wire on the ends of your fixture wires. 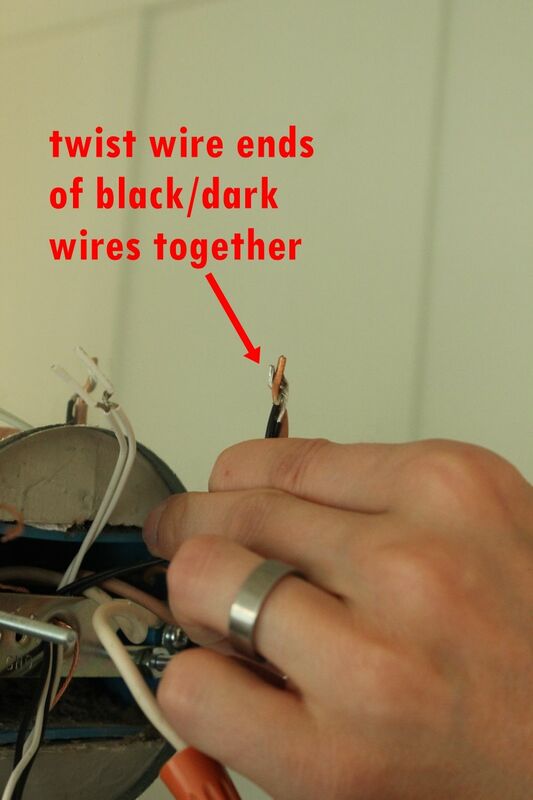 Twist the black-cased wire ends with the black- (or dark-)cased electrical wire end. 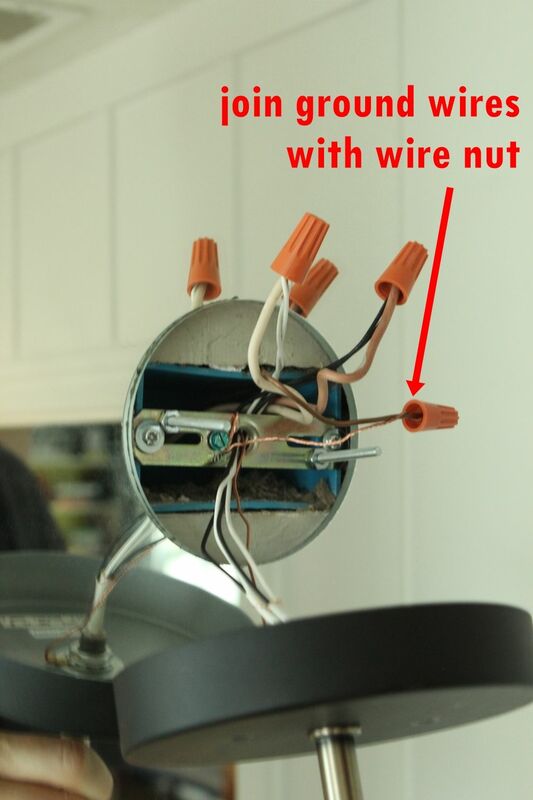 With the two black light fixture wires and the one black (dark) house/electrical wire twisted tightly together, it’s time to cap them off with a wire nut. 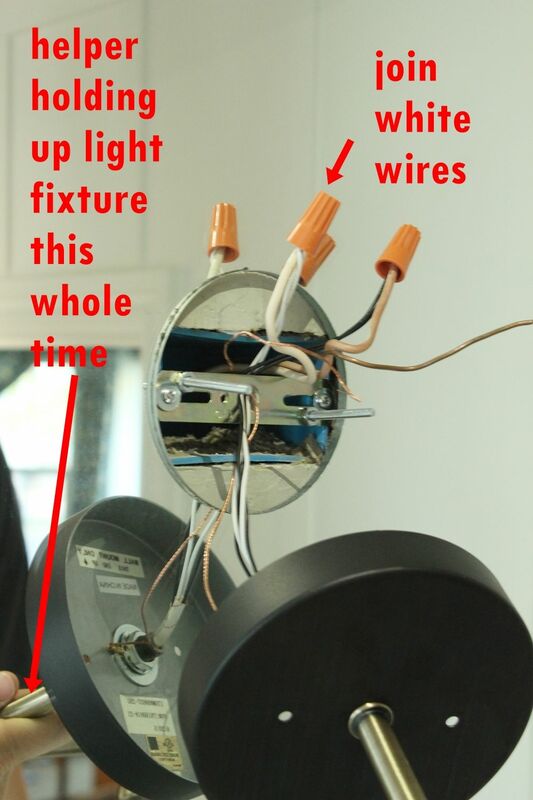 Note: The number of black and white wires that your light fixture has depends largely on the number of light bulb positions it has; because electricity is required at two separate positions on this particular lighting fixture, two separate black wires and two separate white wires on the fixture itself are involved. 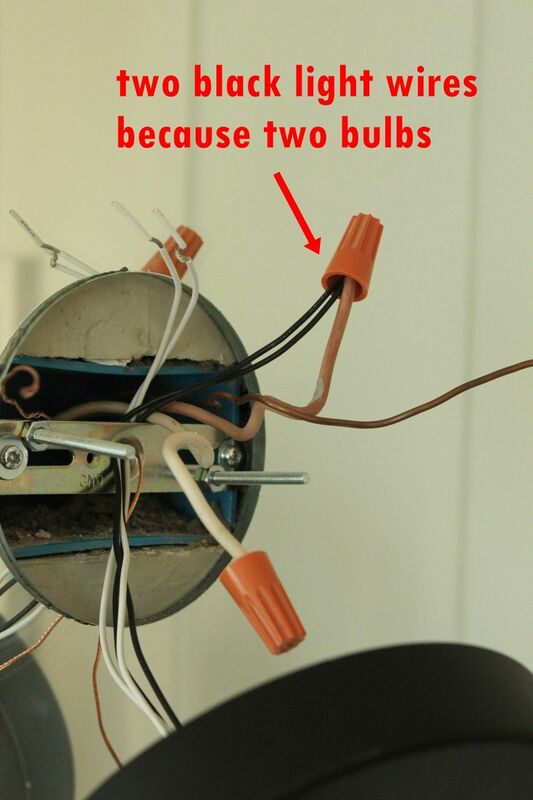 Repeat these steps for attaching the white wires from the fixture to the white wire from the house’s electrical. 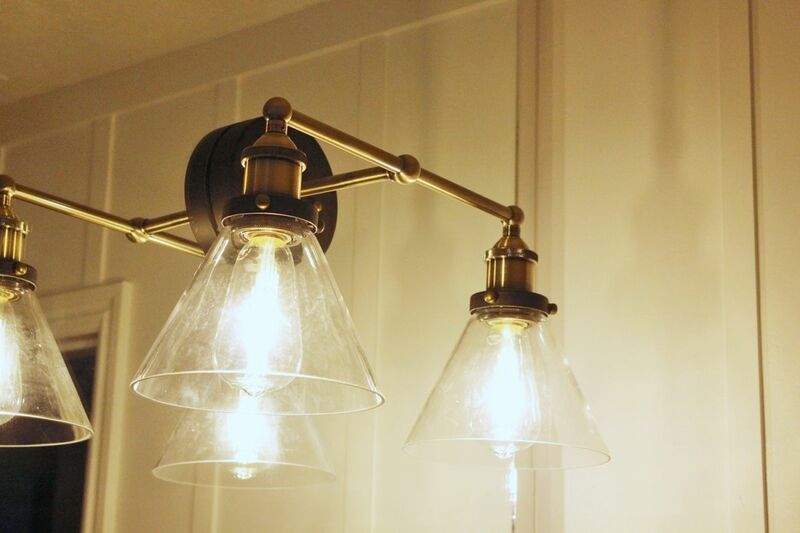 When you are installing a lighting fixture, there should be an exposed wire in your fixture and an exposed wire from your house’s electrical. 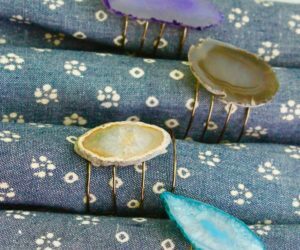 These exposed wires are called ground wires, and they are meant to attach to the earth so as to neutralize electric currents as needed. 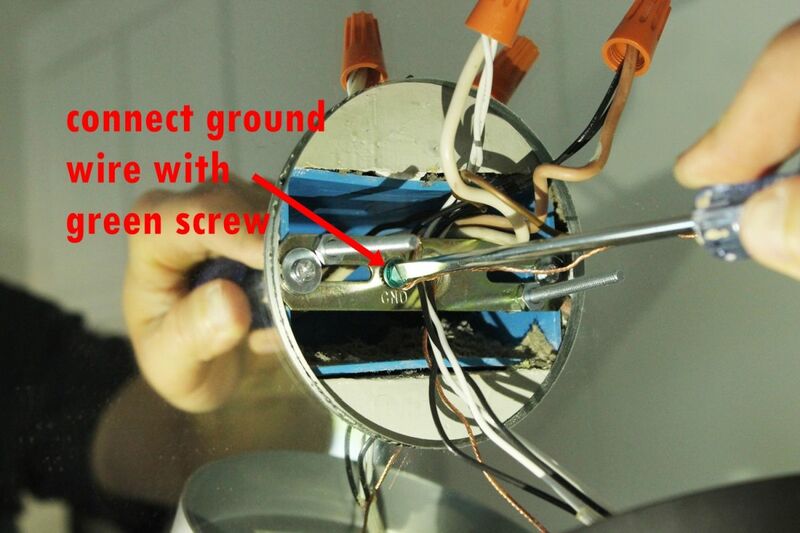 Bend the light fixture’s ground wire under the green ground screw, and tighten the green screw. 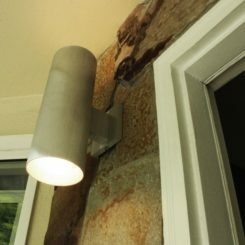 Twist and then cap both ground wires – the one from your light fixture and the other from the house’s electrical – together. 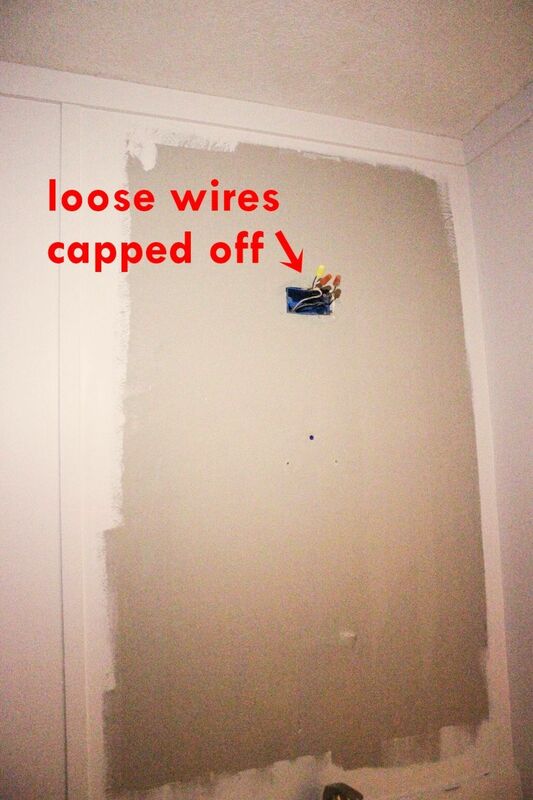 At this point, you should have a secure, capped connection of all wires to their appropriate counterpoints. 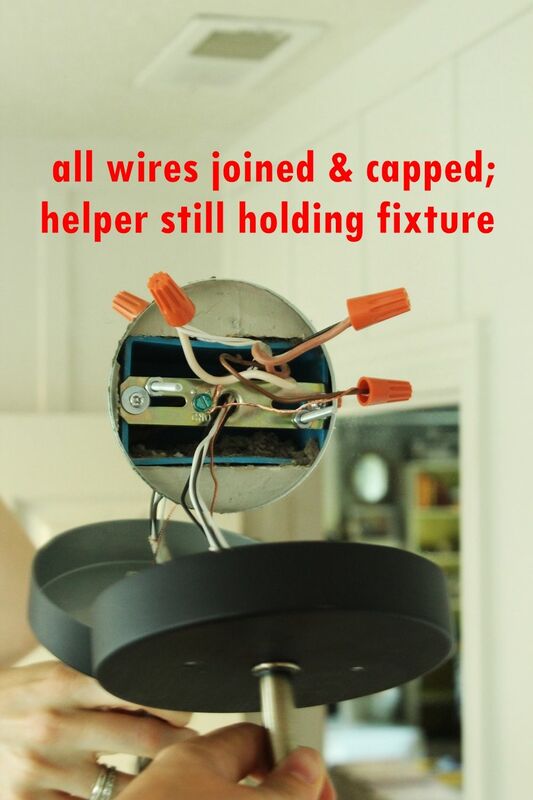 Your helper should be starting to moan about not being able to hold up the light any longer. If both things are happening, you’re right on plan. 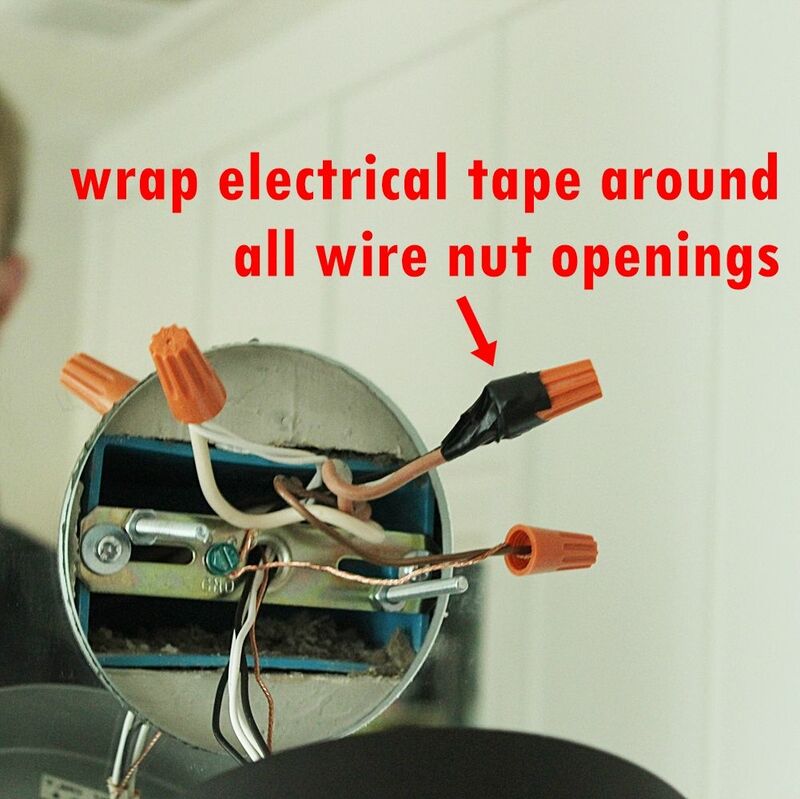 The last thing you need to do with the electrical is to wrap the open ends of each wire nut and wire casing with electrical tape. 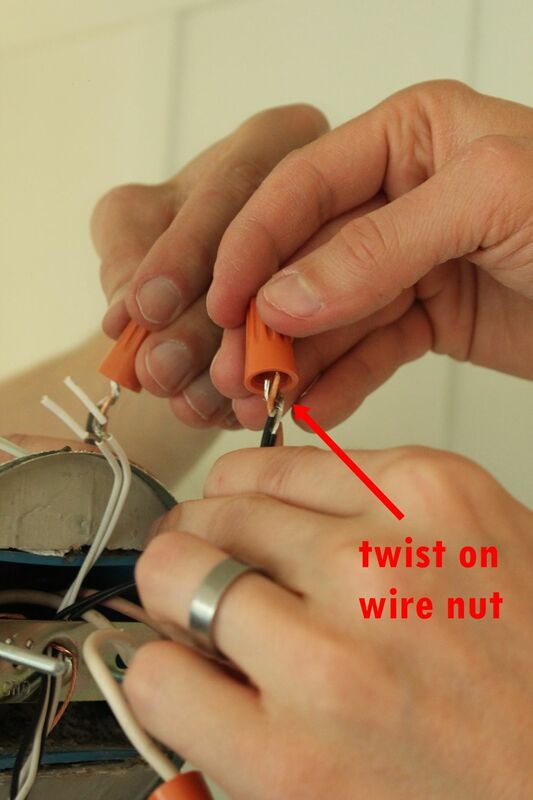 This is to provide a layer of insulation and protection to any part of the wire that might, for whatever reason, be exposed outside the wire nut. 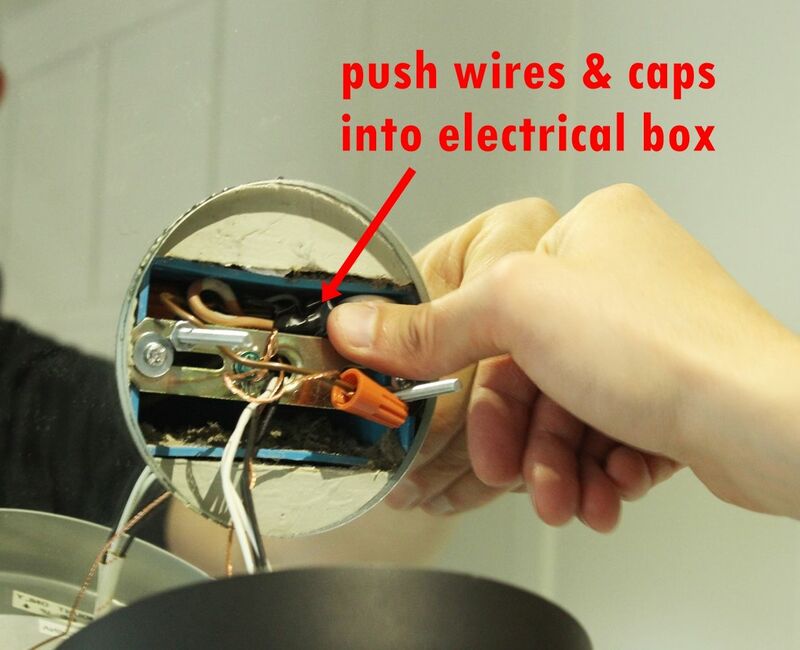 When the black and white wires are taped, push them gently into the electrical box. 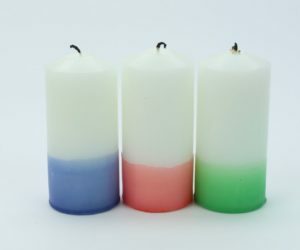 It’s now time to mount your light. 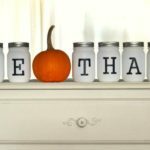 This is a critical step to do correctly. 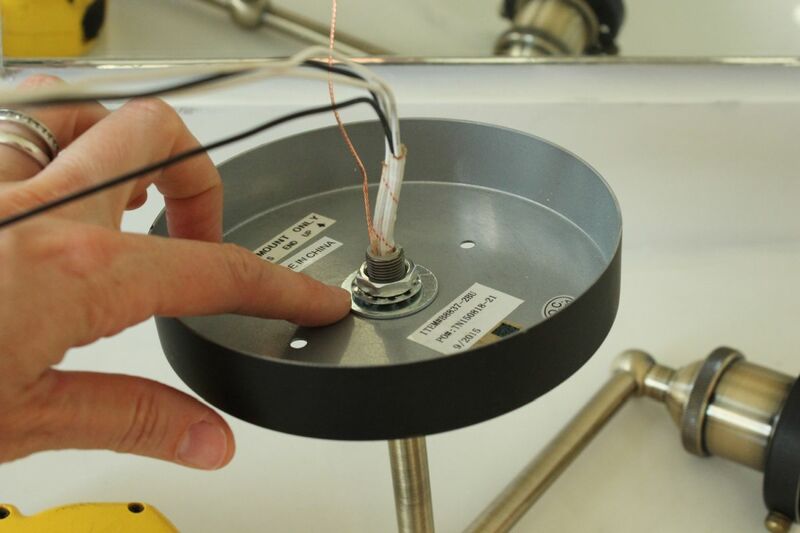 Set the flange gently onto the mirror surface with the mounting screws coming out the screw holes. 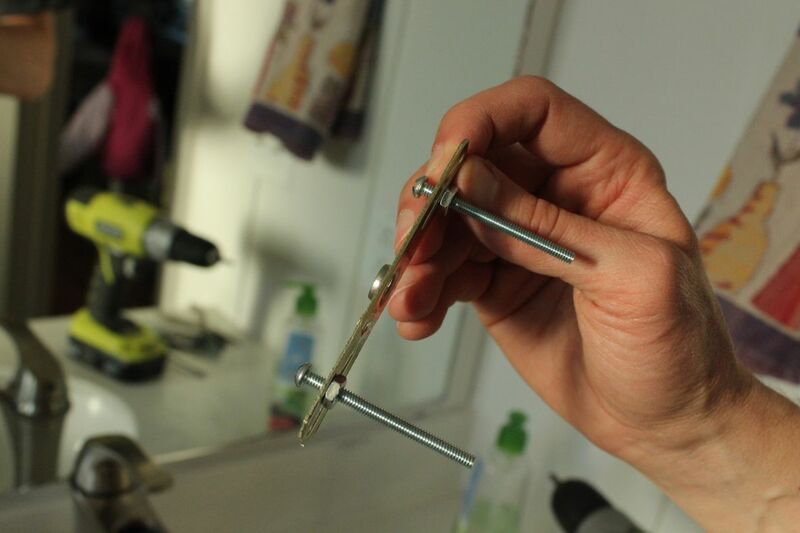 The light nuts, which will go onto the ends of the mounting screws to hold the light in place, need to be screwed on. 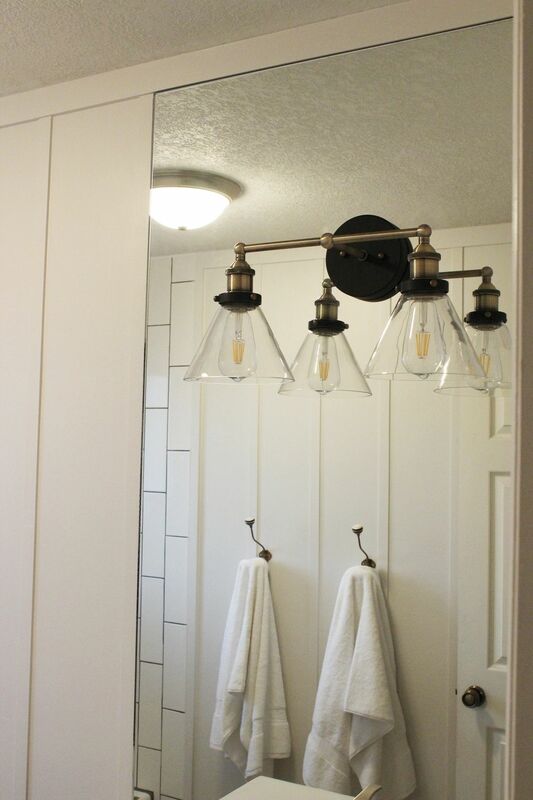 They need to be tight enough to hold the light fixture in place but not so tight that the fixture puts stress onto the mirror. 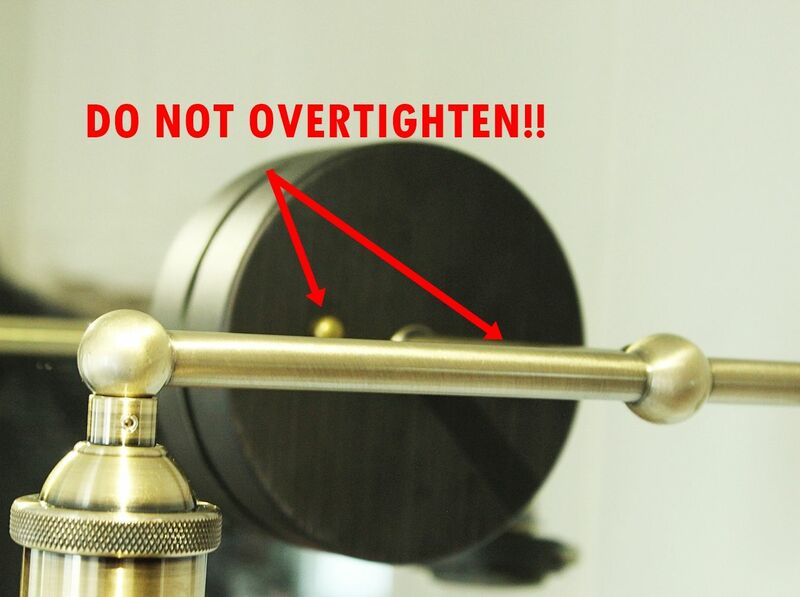 Do NOT overtighten. I can’t stress this enough. 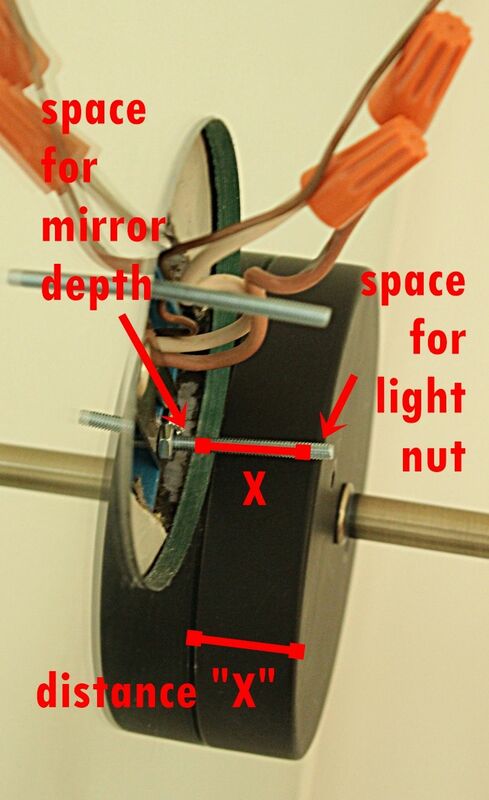 A light nut that is too tight can fracture a mirror even a year later after installation. 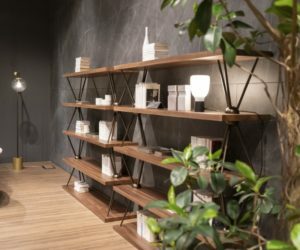 This is why you worked so hard on completely securing your mounting strip to the electrical box – the mounting strip is secure and is going to be the workhorse for your lighting fixture’s weight. 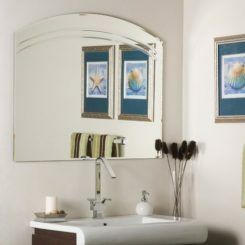 All you’re trying to do at this point is keep the mirror flush against, or just touching, the mirror face. Nothing more. 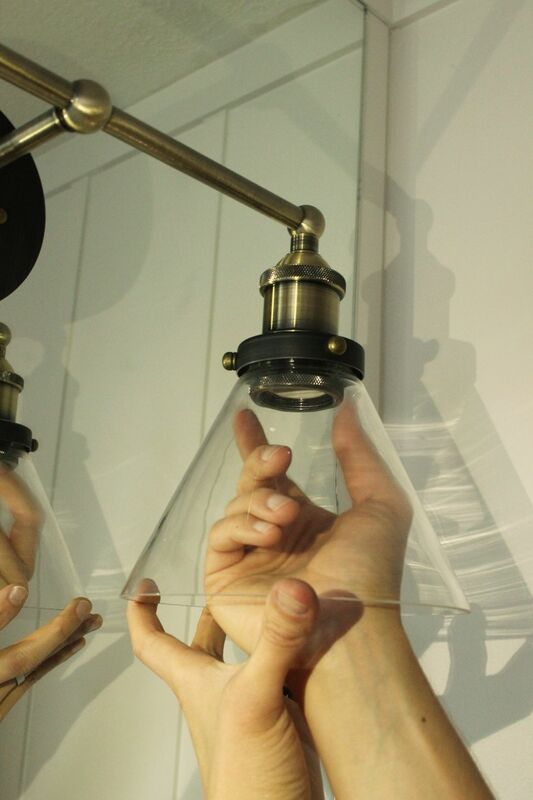 With the flange carefully secured against the mirror face, it’s now time to make any finishing touches to your light fixture itself. 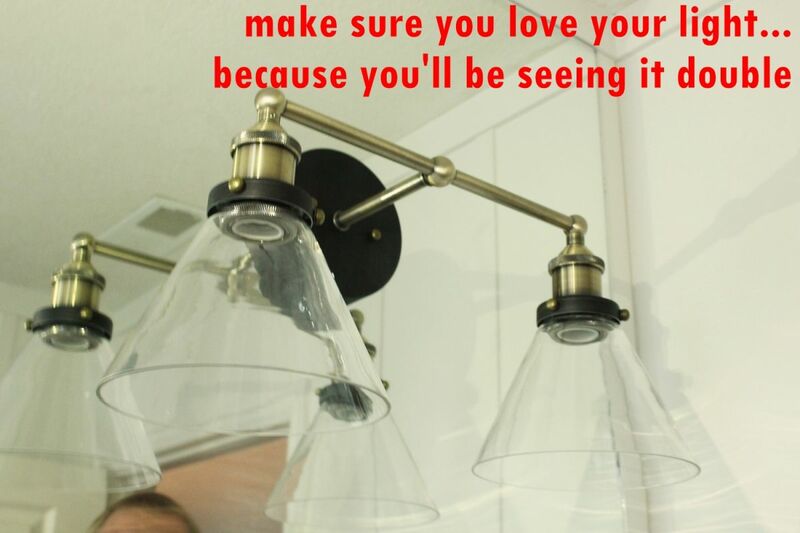 Attach any lamp shades necessary, depending on the style of your lamp. As was mentioned earlier, you’re probably noticing it much more at this point. 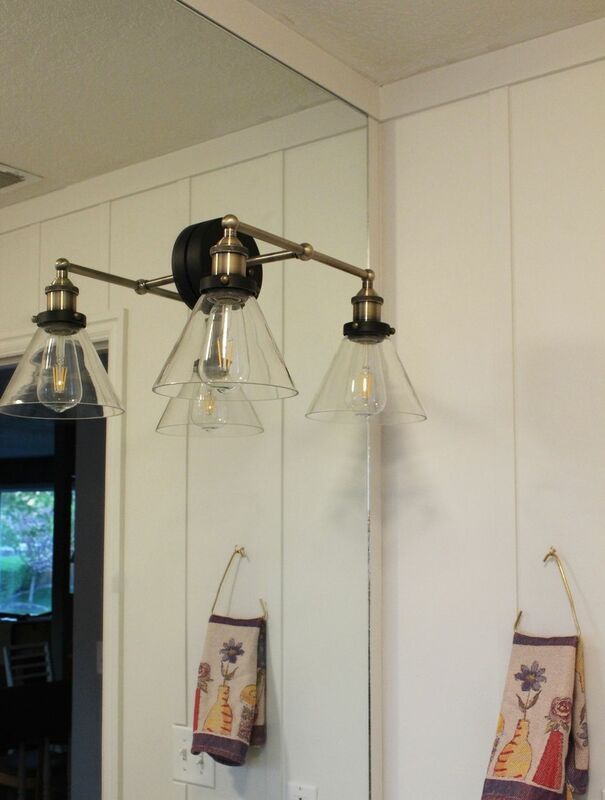 You’ll see twice your lighting fixture from here on out. 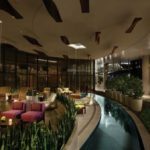 Hope you love it! It works! And it’s absolutely beautiful. 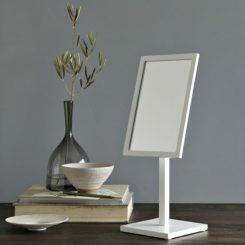 Talk about utilizing the reflective power of a mirror in a small space to amp up the light! 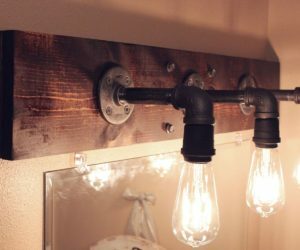 This makes the small bathroom feel so much bigger and brighter. 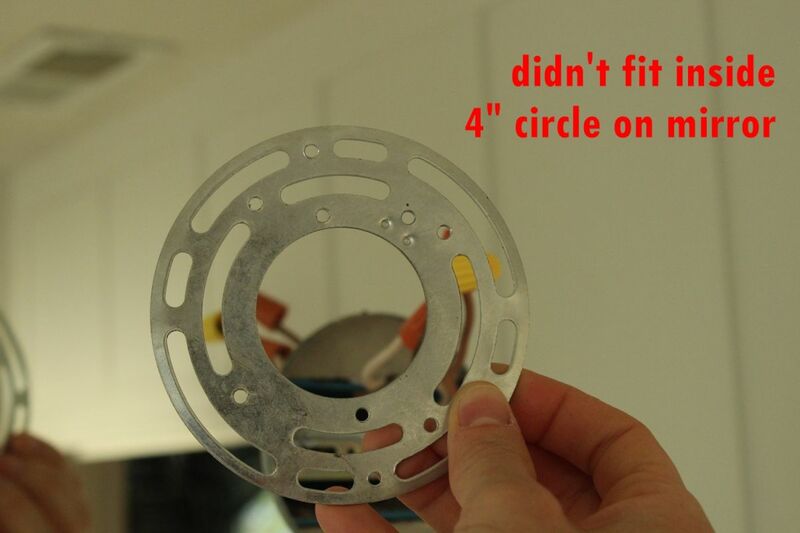 Remember how I mentioned a tradeoff when we had to use the mounting strip instead of the mounting circle? 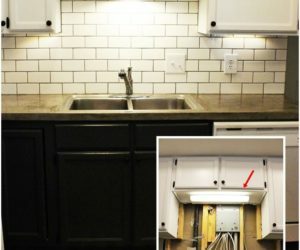 The tradeoff was that the light nuts could not be aligned parallel with the light, because of how the screw holes fell in the mounting strip. They are tilted, as you can see here. 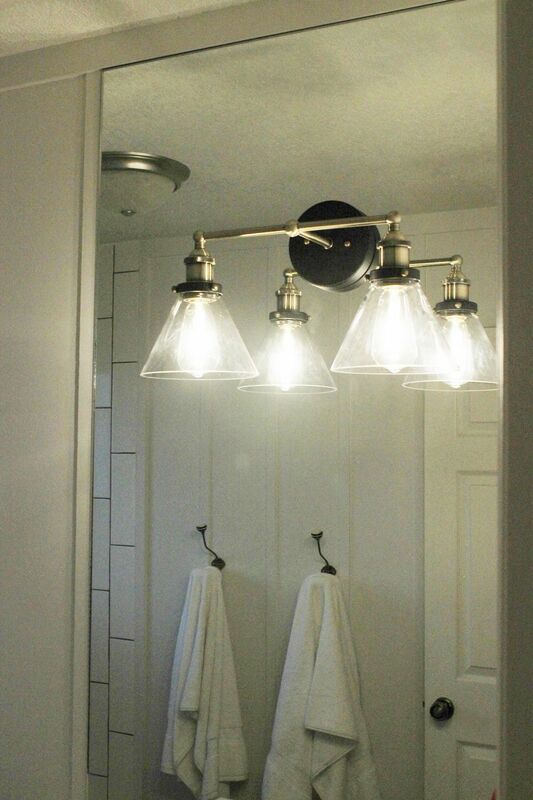 Despite that small annoyance, however, the light fixture is a perfect addition to this bathroom makeover. 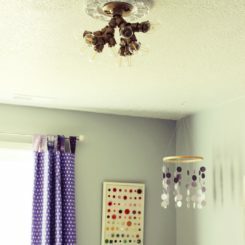 The glass shades are subtle, while the whole fixture is both vintage-feeling but in a clean, contemporary way. 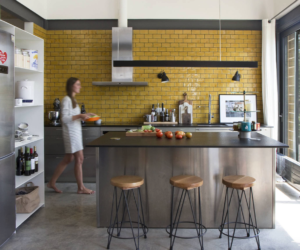 And, with LED Edison bulbs, the fixture really combines old and new – the best of both worlds. 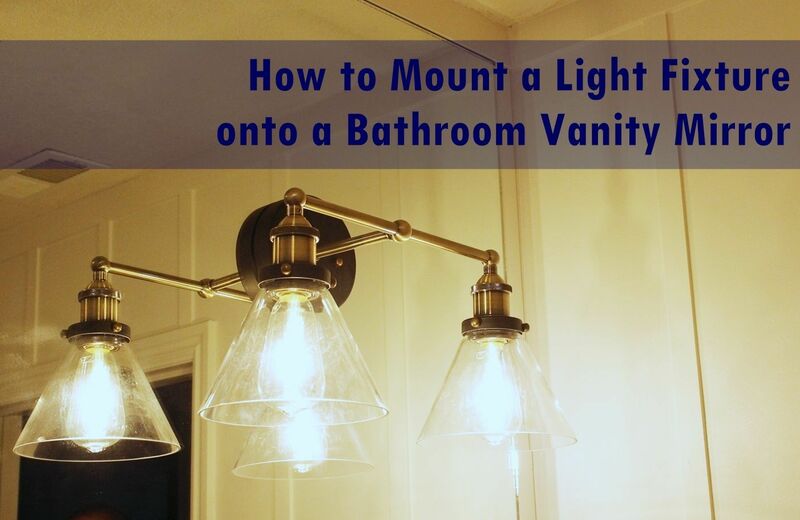 Mounting a light fixture on top of a bathroom vanity mirror is a beautiful way to add light, height, and presence into your bathroom. We hope you’d agree. 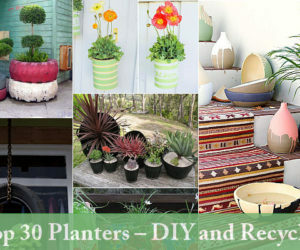 Note: The author is an experienced, although not professional, DIYer. Neither the author nor Shumatsu Distortion is responsible for any injury or damage that may be a result of following this tutorial.